Google has announced big news for Google Lens, tweeting that the feature will now be available to all Android users via the Google Photos app. It’s also stated that the tool will be making its way to iOS soon, giving stiff competition to Siri in terms of intelligence. 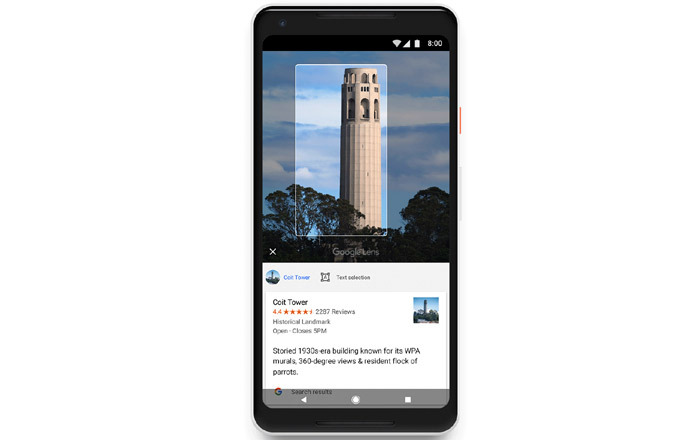 Google Lens basically utilizes AI smarts and image recognition to find out more information about a real-life setting or photo. People can point it at a flower to find out its type, a restaurant to view its ratings, and a landmark to get more details about it such as its name, reviews, description, and visiting hours. Lens can even scan a business card to create a contact or the back of a Wi-Fi router to catch the login details. The tool started out life at Google’s 2017 I/O conference before making its way to the Pixel series of phones in Photos and Google Assistant. Some Android phones will be able to access Lens via the Google Assistant as well. That list includes flagships by Motorola, Huawei, Samsung, Nokia, Sony, and LG. There’s no clear timeline for this yet, so it might take a while. Even the current Lens rollout for the Photos app may take a while to reach everyone as it’s rolling out in batches. The fate of iOS support for Google Lens is even more uncertain. In the meantime, Android users can download the latest version of Photos via the Play Store.